Roast marshmallows slowly over an open flame. Kids make sure you have parental supervision or approval first. You can use a campfire or fire pit, or in a pinch, a gas stove or sterno. With the flat side of the cookie up, place your piece of chocolate on it. 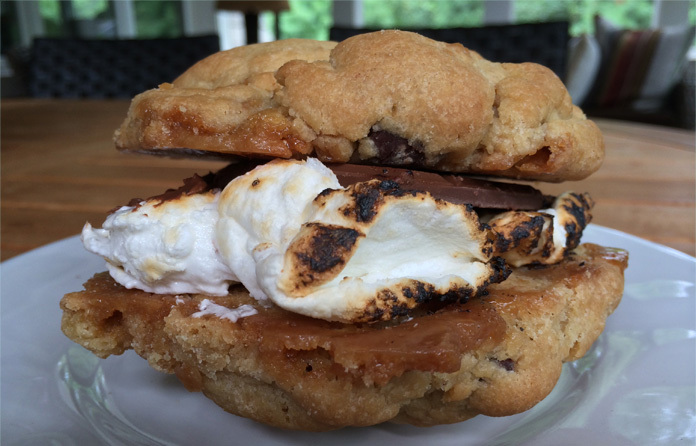 Once your marshmallow is toasted to your liking, place it atop the chocolate and top with the other cookie so the bottoms match up.